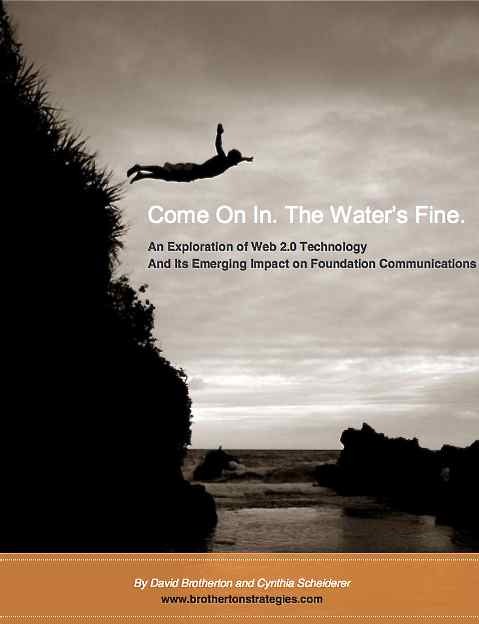 A report produced for the Communications Network urges foundations to make more use of Web 2.0 technologies in order to more effectively engage the public in their work and to have greater programmatic impact. Build up the individual “human capital” of their staffs and provide them the competencies they need to operate in the new digital world. Make internal institutional reforms to reward creativity and innovation in using these new media internally and among grantees. Build social networks that span sectors and institutions, to engage in ongoing dialogue among private, public, nonprofits and research stakeholders. As Wilson also says, “All of these steps first require leadership, arguably a new type of leadership, not only at the top but also from the ‘bottom’ up, since many of the people with the requisite skills, attitudes, substantive knowledge and experience are younger, newer employees, and occupy the low-status end of the organizational pyramid, and hence need strong allies at the top. The report was made possible by support from The California Endowment, the Edna McConnell Clark Foundation, and the Robert Wood Johnson Foundation.